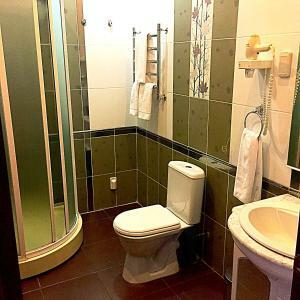 A-HOTEL.com - Luxury and cheap accommodation in Belomestnoye, Russia. Prices and hotel, apartment booking in Belomestnoye and surrounding. Located in the city centre of Kursk, within 200 metres from Red Square and Kursk Cathedral, Apartamenty na Krasnoy Ploschadi offers a self-catering accommodation with soundproofing, air conditioning and a hot tub. The apartment features a living room with a seating area and an open-plan kitchen, which is fully equipped in order to prepare meals. Featuring free WiFi, Hotel Central offers accommodation in the centre of Kursk. Free private parking is available on site. Apartment on Radisheva is set in Kursk. The property, housed in a building dating from 2013, features free WiFi. Offering free WiFi and city views, Apartament Olivia na Radishcheva is an accommodation situated in Kursk. Guests staying at this apartment have access to a fully equipped kitchen. This modern, multi-storey hotel is located in the heart of Kursk, just a 10-minute walk from the central Red Square. It offers free Wi-Fi, a varied breakfast, and excellent spa facilities. Situated in Kursk in the Kursk region, Apartment Pochtovaya 12 features a garden. Guests staying at this apartment have access to a fully equipped kitchen. ул. Береговая, 3 Апартаменты is set in Kursk. Двухкомнатные апартаменты на Береговой 5 is set in Kursk. This property offers access to a balcony. Apartment Beregovaya 5 121 is situated in Kursk. Free WiFi is offered. Just a 10-minute drive from the Zvezdniy Exhibition Grounds, this classical-style, 3-star hotel in Kursk city centre offers spa facilities, free Wi-Fi, and soundproofed rooms and apartments with a private spa bath. Surrounded by the shops and restaurants of Lenin Street, the Oktyabrskaya Hotel has spacious rooms and apartments with cable TV, a desk, and an electric kettle. Bed & Breakfast Kursk is located in Kursk. It offers a 24-hour front desk, free WiFi access and air conditioning. 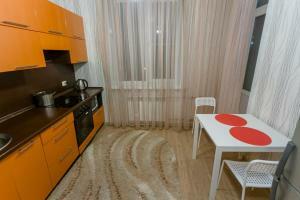 Boasting accommodation with a balcony, Apartament on Karla Libknekhta Street is located in Kursk. Free WiFi is featured.